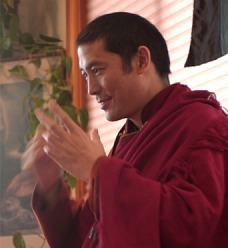 Kilung Rinpoche is teaching the Seven Meditations, a progressive program of meditations through the year. The meditations are Tibetan in style, but can be utilized by anyone, whether or not they are Buddhist. You can join Monday Meditation on a drop-in basis. In November, 2015, Shambhala Publications published Rinpoche’s book The Relaxed Mind, a Seven-step Method for Deepening Meditation Practice about these seven meditation practices. In July, 2017, Shambhala Publications released an online course with Kilung Rinpoche: Discovering the Relaxed Mind – An Immersion in a Seven-Step Method for Deepening Meditation Practice. Click HERE for more information. Here are the Seven Meditations and their practice schedule through the year. Seven Point Sitting Posture: Sit with legs crossed, back straight/relaxed, shoulders like yoke, arms in equipoise, chin tucked, eyes open gaze downward, tongue on palate.